Bart Ehrman on did Jesus exist? Over the past two centuries, historical scholars have argued over what we can know about Jesus. Virtually all scholars (regardless of religion) now agree Jesus was a real person whose life followed the general outline in the gospels. However enthusiastic amateurs are still promoting the idea that Jesus didn’t exist. Books have been published and a thousand internet arguments launched, with little response from the scholars, who regard the Jesus myth as refuted. Now an eminent scholar has assessed the Jesus myth. Bart Ehrman is a recognised and well-respected New Testament scholar who specialises in issues relating to the text of the New Testament. (We almost never have the original texts of ancient historical documents, but have copies of copies. This process can lead to deliberate or accidental changes to the text. For more on this, see Are the gospels historical?.) He has published many books on the topic. 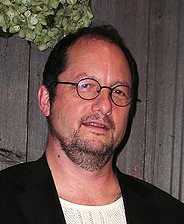 Ehrman grew up as an evangelical christian in the US, but became an agnostic when his studies led him to question the reliability of the New Testament text. His views on the extent of textual problems would be at the sceptical end of New Testament scholarship. Ehrman has recently released a new book, Did Jesus Exist?, and wrote a column in the Huffington Post on his conclusions. He is no stranger to controversy, and his book manages to set cats among many different people’s pigeons. These are not simply Ehrman’s views; he is articulating the conclusions of the vast majority of expert scholars. We may therefore take his views as a lowest common denominator of historical “facts” about Jesus. Many scholars believe we can safely say more about Jesus, but virtually none would say less. For the christian, his book is problematic – he defends Jesus and the gospels against extreme scepticism, but dismisses the idea that the gospels are reliable in every, or most, of their accounts. I don’t personally find a problem here. Faith in Jesus and trust in the New Testament are based on both fact and faith. Ehrman establishes a minimum level of fact, whereas most other scholars would say we can have confidence in more than that. We can each decide whether that is sufficient basis to trust the gospel writers and Jesus himself. For the conclusions of other historians, and their reasons, see Was Jesus a real person?